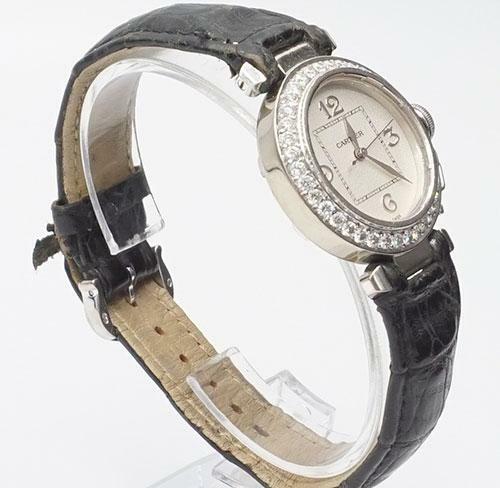 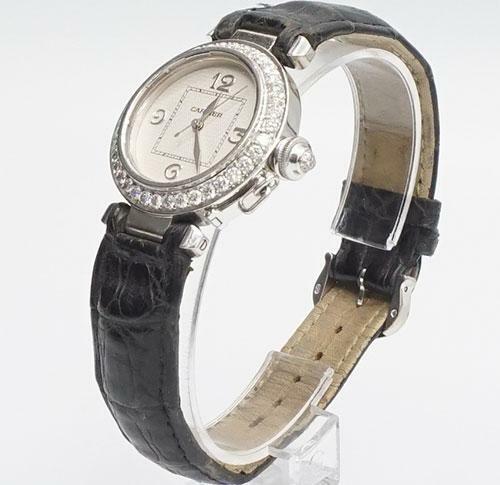 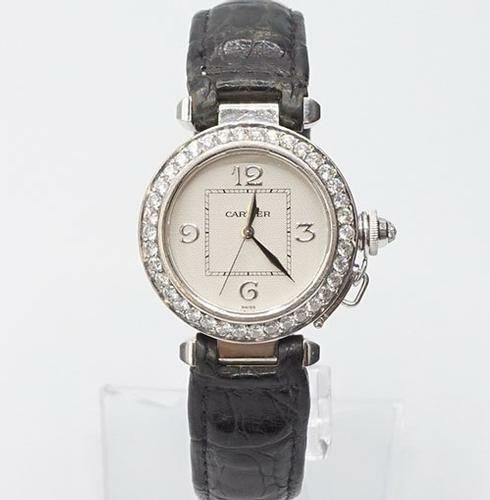 Ladies 18kt white gold Cartier Pasha watch with diamond bezel. 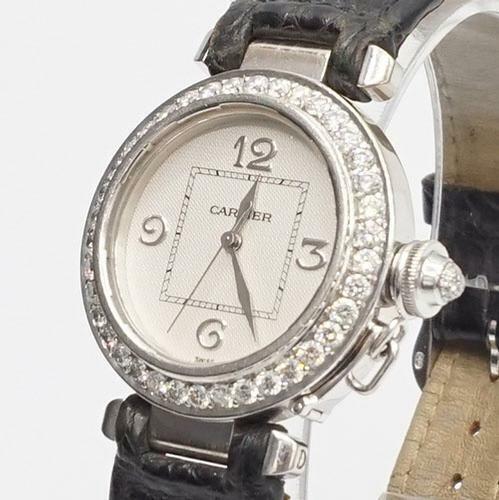 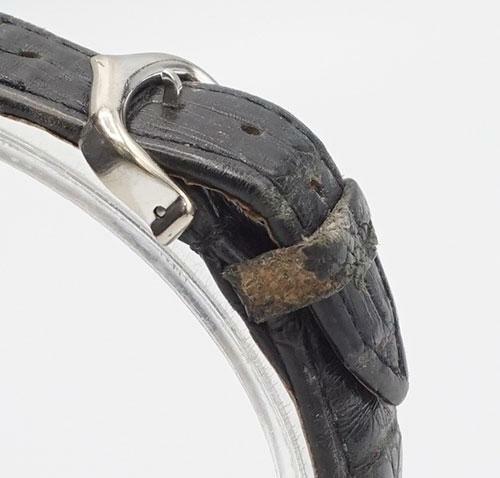 Cartier Pasha Reference 2400, automatic movement, 32mm case, fits up to a 8.75 inch wrist. 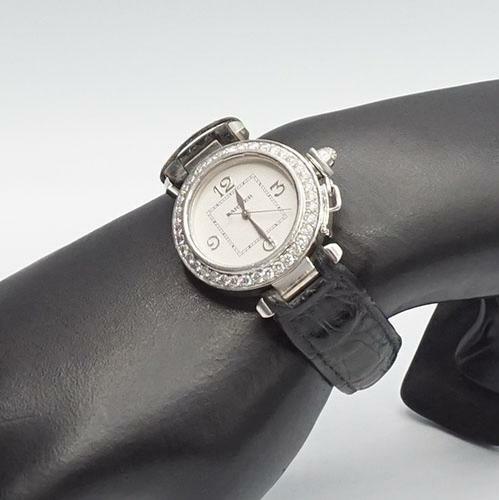 Sapphire crystal, white dial, black Cartier leather strap and clasp.